Nordstrom does not mess around about the holidays. 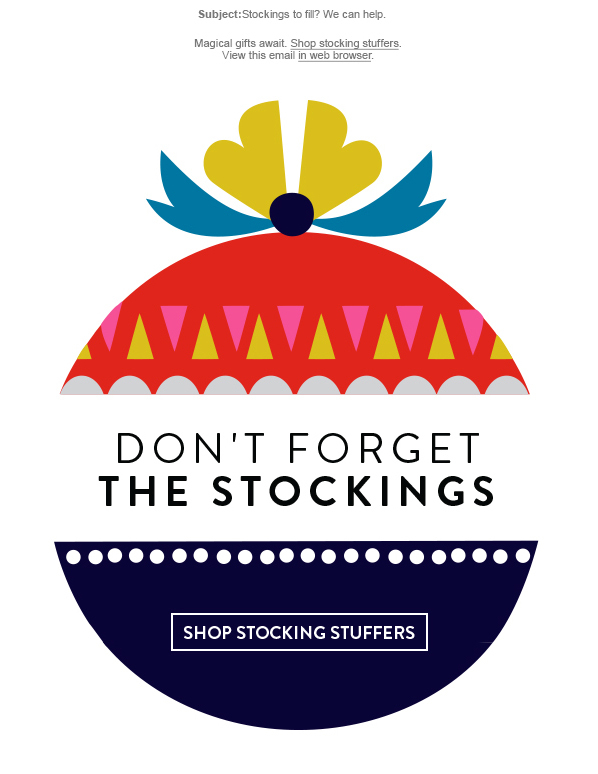 For the 2016 campaign, the designer and I were tasked with creating 100+ placements (including site, ads, emails, shipping calendars—even product page banners) to promote our gift categories and inspire customers to knock out their shopping with us. This feat was achieved through close partnership, extreme attention to detail, and IMing GIFs in times of crisis. A one-stop gift shop for the holidays, the hub guided customers to shopping categories, inspired them with ideas and highlighted our services. Lots and lots of 'em to suit however they shopped and whoever they were shopping for. Many utilized the "Where the Gifts Are" tagline to drive to the hub or straight to gift categories. Others highlighted services that made the season easier.